Hanoi (VNA) – Vietnam is facing great challenges in attracting investment in forest-based profitable and sustainable business activities, said Nguyen Van Ha, Vice Director of the Vietnam Administration of Forestry under the Ministry of Agriculture and Rural Development at a conference in Hanoi on August 7. Ha held that social resources account for 70 percent of total capital for the national target programme on sustainable forestry. However, mobilising investment from enterprises and individuals hasn’t yet been designed in a synchronic, comprehensive and specific manner, especially in attracting sustainable investment to natural forest. He noted that over the past years, Vietnam has applied a number of measures to plant and protect forest, thus raising the forest coverage to 41.19 percent in 2016.Vietnam currently has 10 million hectares of natural forest, accounting for 71 percent of total forest area, but mostly newly-restored and poor forest, he said. 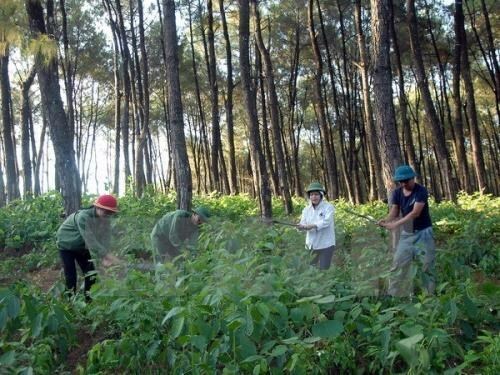 Meanwhile, Nguyen Van Tien, head of the Rural Agriculture Department under the Party Central Committee’s Economic Commission, said that the building of economic and business models that create opportunities for economic sectors in forest development has remained unattractive to investors. Ha said that Vietnam has implemented the polity to stop the exploitation of natural forest in order to develop natural forest sustainably, along with collectingenvironmental service fees. However,limited results have been seen. Ha stressed that it is crucial to build effective policies to optimise the potential of forest, especially natural forest, while promoting the environment value of forest.